This month I was thrilled to earn a glowing review on the well-known book blog, Bookmuse – and their approval for Best Murder in Show earned me the right to display this impressive badge on my own website. With a cast of eccentric characters such as the quirky local shopkeeper, the amiable drunk, the lecherous amateur dramatist, the bookseller with a secret and the writing group which fines members 10p per cliché, this gentle crime caper is lively, funny and the perfect antidote to watching the news. What’s more, it would make the ideal Radio Four serial or BBC Sunday evening programme. I just hope someone from the BBC reads it and takes the hint! To read the review in full, visit Bookmuse here. And while you’re there, take a browse to see what else they’re recommending. With over 400 books reviewed on the blog, sorted by genre, there’s bound to be something on there to appeal to your particular reading tastes. 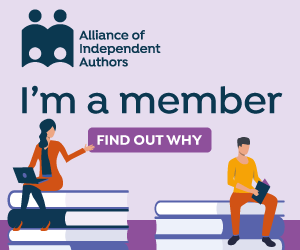 What is a book blog anyway? In case you’re not familiar with the concept of a book blog, it’s essentially a blog exclusively dedicated to reviewing and recommending books. While there are a few book blogs that delight in pulling books to shreds (their blog, their rules! ), most are very positive and supportive, run to share the blogger’s love of books and reading, and to broadcast with evangelistic zeal their enthusiasm for their latest reads. A book doesn’t have to be newly published to feature on a book blog, and that’s a prime difference from newspaper book reviews, which often review books even before they’ve been published. After all, books don’t come with sell-by dates, or else Jane Austen et al would have been pulped long ago. What’s special about the Bookmuse book blog? You’ll enjoy this if you like: The Janice Gentle books by Mavis Cheek, Agatha Raisin mysteries, Lilian Jackson’s cat mysteries. Avoid if you dislike: very English settings, cosy crime. Ideal accompaniments: Scones and honey, ‘special’ tea and summer birdsong through an open window. All rather fun, don’t you think? If you’re an author and would like to submit your book to Bookmuse for consideration, email submissions@quinnpublications.co.uk.